Love how your layout has so much depth. This is so pretty! What a great page Beck! Love the waterdroplet dewdrops!!! this is awesome! stunning layout. absolutely stunning. 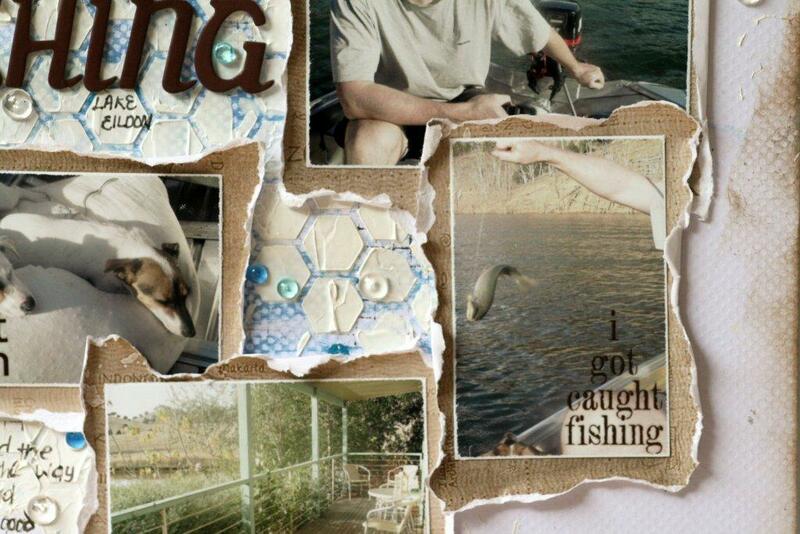 i always struggle scrapping my fishing pics but you did a fabulous job. GORGEOUS layout - LOVE your colours and textures!!! What a lovely layout! Love the distressed papers. I love this layout! And the textures and of course, the dew drops! LOVE ALL THE LAYERS... I am a fan of texture and layers.... AWESOME LO!!!! Oh wow, I really like this! This would be a great card on a smaller scale. 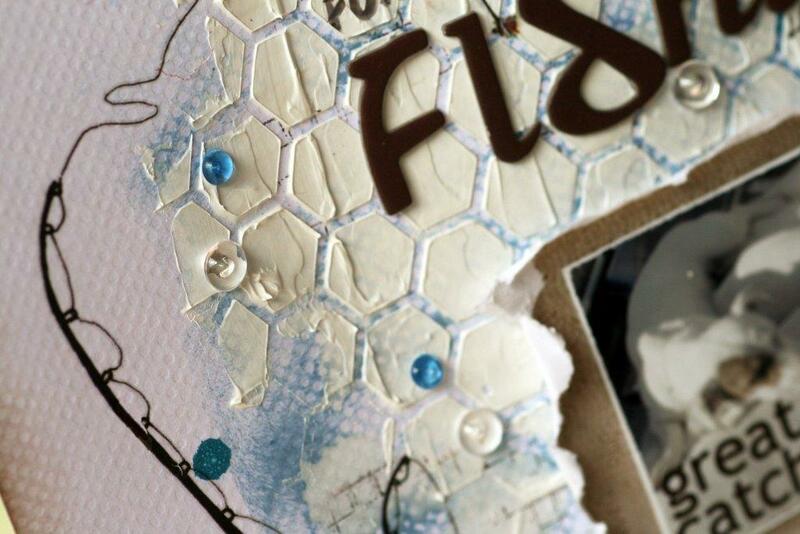 What a fun mixed media project! Beautiful layout with all the textures. This is a gorgeous layout. 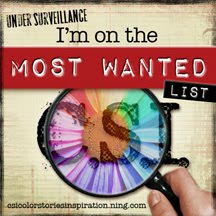 Love the stenciling in the background. Love the texture you created on the background, and the dew drops are the perfect water drops here! I love the ripped edges on this layout! 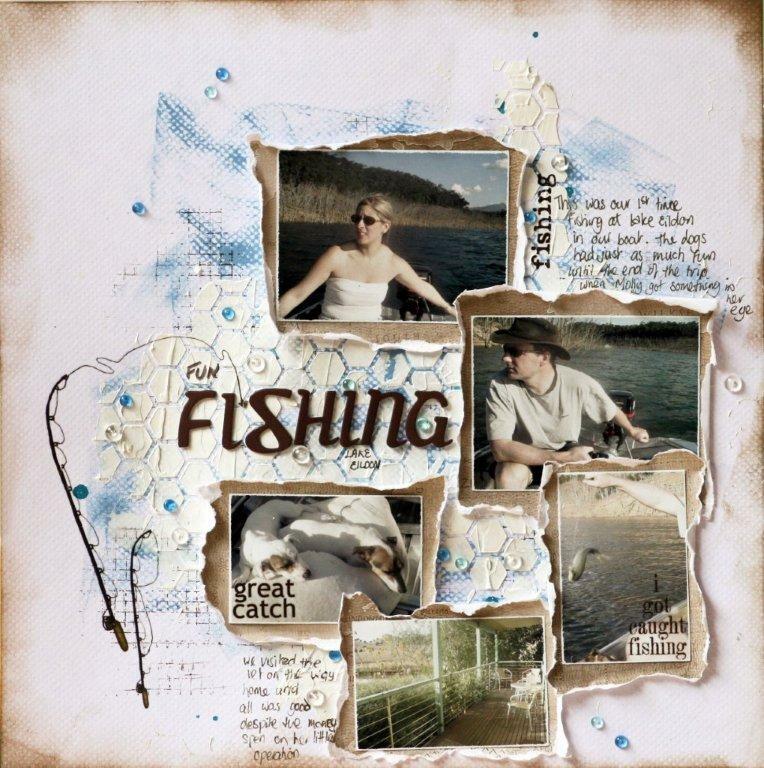 Great layout for the photos, love the depth and texture, the dimension created with the texture. So neatly done, I love it!!! What a beautiful layout...great textures and the dew drops add beautifully to it. Love the torn matts giving such dimension. What a super cool layout with all that texture and dimension! Love it! Really love this layout! 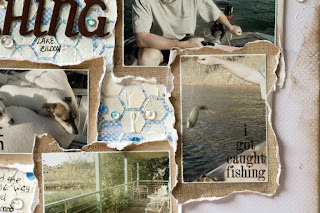 Love the fishing rods and also the stencil and love how you tore/distressed the mats for all photos! Super fantastic layout!!! LOVE how much depth it has!! The dew drops are very appropriate for this layout! the dewdrops really add the water spray feel to the fishing layout. Thanks for sharing the idea.